Think this project is fun? Check out some other stuff you can make. Do you feel the need for speed? 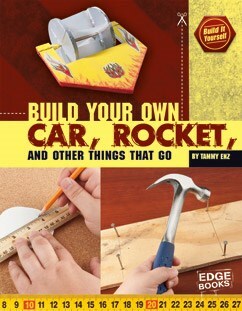 With the simple instructions in this book you can build your own cars, rockets, and other fast moving vehicles. Gather up your tools and get ready to build some speedy projects that will impress your family and friends. Everyone likes a private place where they can get away from it all. 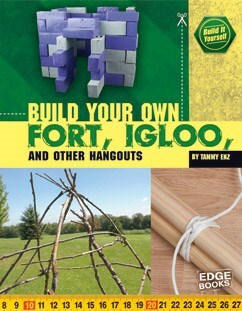 Follow the simple steps inside to build a fort, a teepee, or several other hideouts. It’s easier than you think and you’ll have your own private hangout in no time. 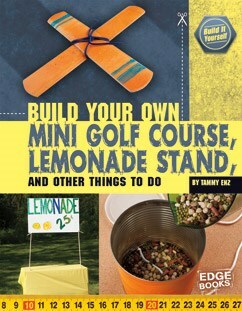 Hot summers are great for building a classic lemonade stand. Rope swings can also be a blast. If you’re feeling creative, try making your very own mini golf course. Your imagination is the only limit to the fun you can have with the projects inside this book! Make a periscope with some empty milk cartons. Build a pet feeder from empty coffee cans. 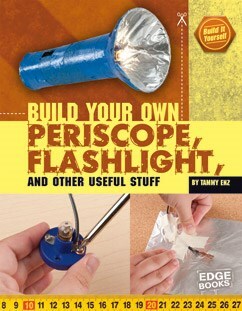 Create a flashlight with some batteries and spare wire. With just a few things found around your house, you can build all sorts of useful things!